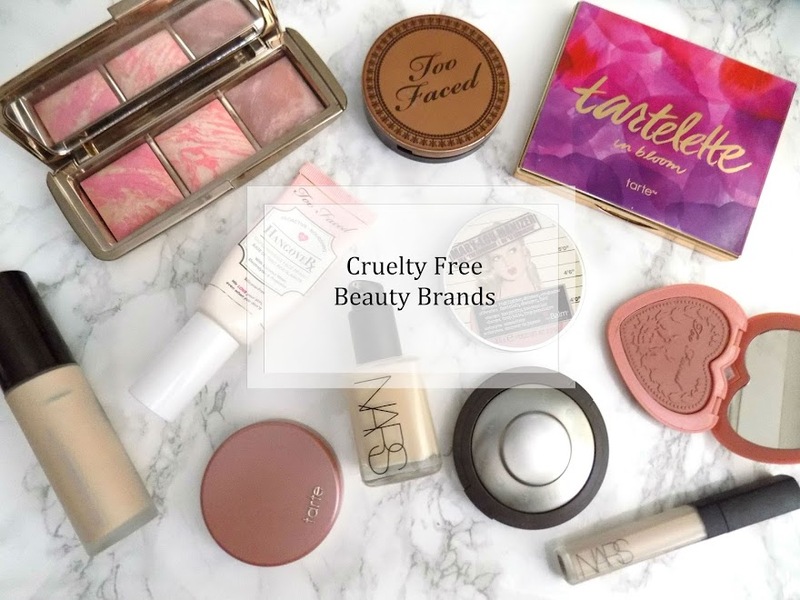 I am a beauty blogger so I like to try out new products which means I don't often repurchase products. But there are a few things that out of everything I have repurchased, you can see the last one I did here. 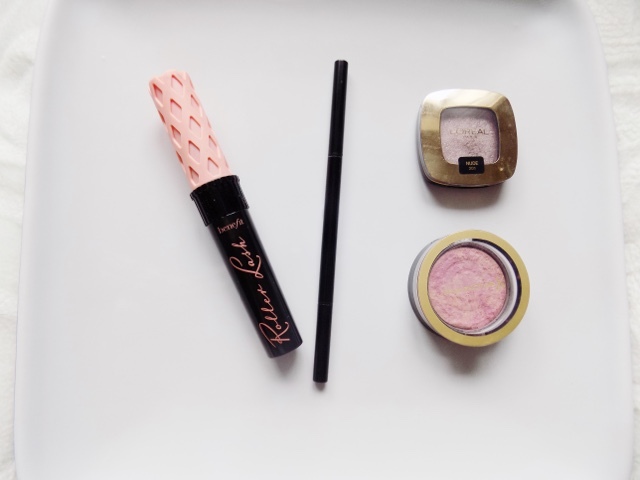 Otherwise let's get into today's round up of repurchased products. I have included a lot of my everyday skincare in these posts before but the most recent ones I've replenished are the Soap & Glory Beauty Sleep Accelerator Night & Flight Moisture Miracle which is my go to night time moisturiser and it does such an incredibly job of nourishing my skin and leaving it feeling soft and smooth and generally just more plump and fresh in the morning. 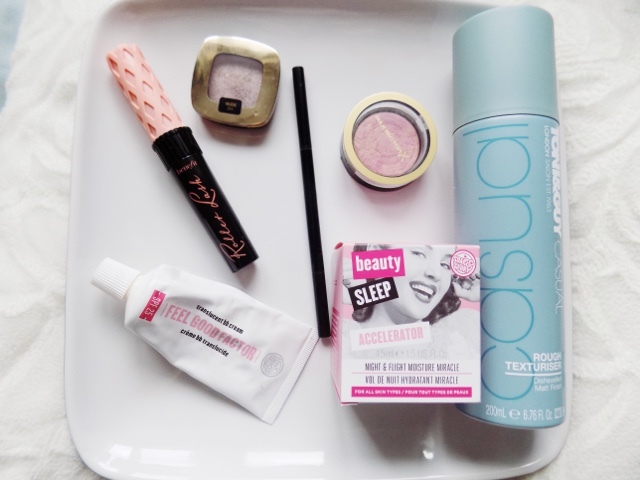 Then there;s the Soap & Glory Feel Good Factor which is such an incredible daily moisturiser with SPF in so it can be worn on it's own or underneath makeup, both are great, makes my skin feel so soft and my makeup goes on much smoother when I use this too. Love both of these and the Soap & Glory range as a whole, it's just incredible. 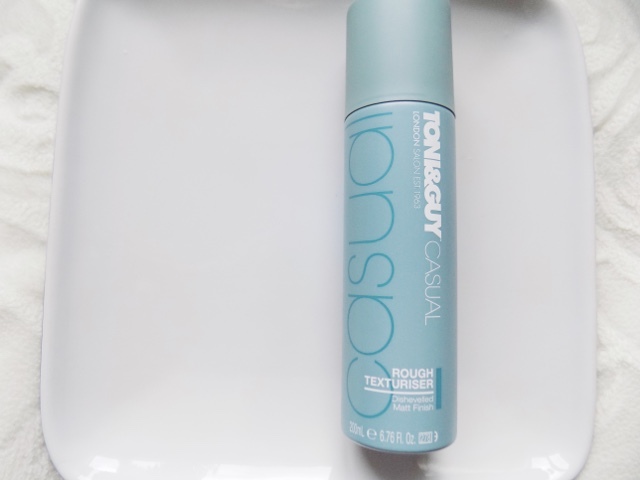 As for hair styling I have repurchased the Toni & Guy Casual Rough Texturiser a couple of times actually and since cutting my hair short, this has been great at adding some much needed grit and texture into it to get my hair looking like I haven't done much to it but still an acceptable level of un-done-ness. It leaves a matte to your hair, it's from the drugstore and it gives texture to my hair, I love it. Makeup is something I am always changing so it's rare that I get through anything other than mascaras and the odd concealer. But that's about to change. I repurchased the Benefit Roller Lash Mascara as I finished the sample size that I have and although I've never purchased a higher end mascara, this one blew me away so much I just had to, and I think it's awesome, but if you are looking for a drugstore alternative check out my face off with a Maybelline Mascara here. I also repurchased the Maxfactor Creme Puff Blush in Seductive Pink, I am very clumsy and so I dropped this one too many times and eventually it just shattered. Although there is still product in it, the lid broke off and so I can't put it in my makeup bag and I love taking this in my travel makeup bag so I repurchased and I will leave this one in my makeup drawers for when I'm at home as don't want to waste all of it as a good chunk broke off as it is. Not a fun moment, picking it up and seeing it shattered around you. I picked up another L'Oreal Color Riche Cafe Saint Germain Eyeshadow as I have used my original one so much that it's starting to go funny as I use it with a wet brush more often than not, so I picked up another one to use for when I want to wear it dry and I will continue to use the other one when I want it more intense on the lids. I love this shadow, it's possibly one of my faves ever and so I can imagine I will repurchase many more of these. Finally is the Soap & Glory Archery Brow Pencil and I have the shade Hot Chocolate. This is my perfect brow pencil, the shade, the formula, the application, just everything about this is incredible and nothing comes close to it. The worst sound in the morning is the click that these brow pencils do when there's no more left and so I tried to use some others I had in my collection before repurchasing but I just couldn't do it. This is my favourite ever brow pencil and I already have another backup and I hope to God they don't discontinue this or anything. I hope you liked seeing the products I've repurchased, as it gives a good indicator that I truly do love the product and think its amazing. So let me know what products you have and will continue to repurchase.